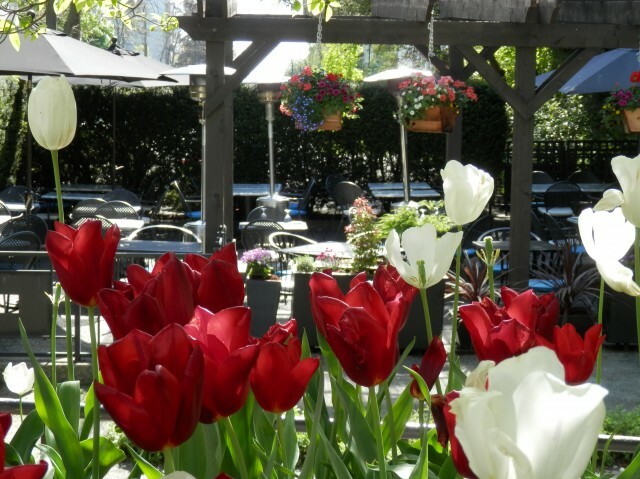 This week, we cover the best patios in Vancouver’s West End. 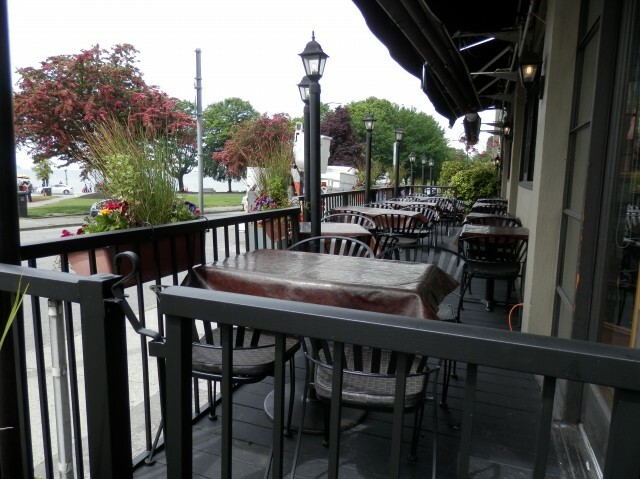 These patios take advantage of the beautiful scenery of English Bay and offer exquisite dining experiences. These patio hot spots have been chosen for individual reasons, but all the patios on this list make perfect resting spots after an adventurous day at the beach. 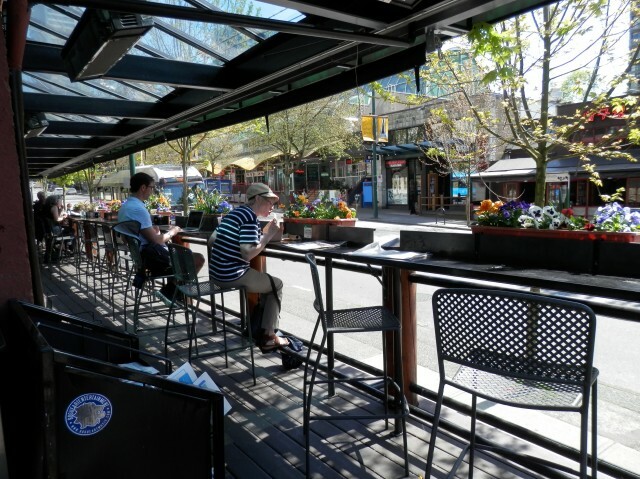 Patios in the West End are a sanctuary juxtaposed against the hustle and bustle of downtown Vancouver, making these patios ideal for a leisurely brunch and afternoon lunch, or after a long day with family and friends. 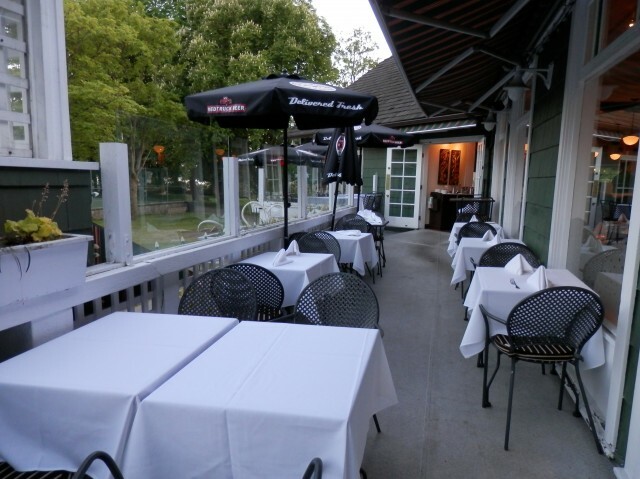 The Fish House in Stanley Park offers a cozy patio to feast on the freshest seafood from the Pacific Northwest. The quaintness of the restaurant makes it a superb spot for a romantic date or even for bringing the family. The Fish House patio is a definite must if you are looking for a place to enjoy amazing seafood after getting sand and clamshells stuck between your toes. When you visit, be sure to try their Smoked Black Cod. It comes with fresh seasonal vegetables and roasted potatoes, and the cod is melt-in-your-mouth buttery delicious. You can’t go wrong with any of their menu items, and their service is always genuinely superb. 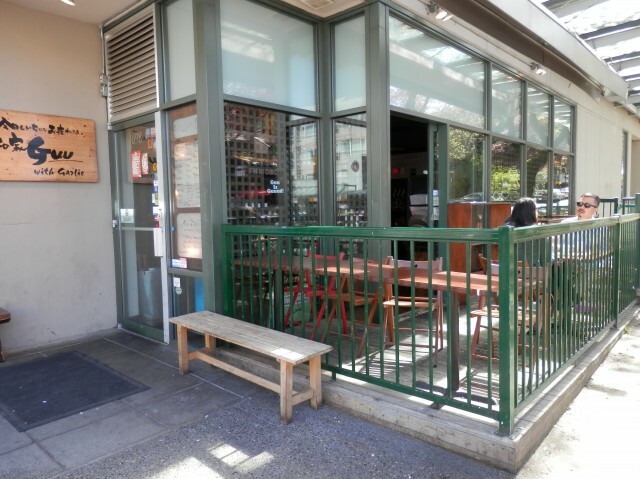 Guu with Garlic on Robson is the best patio for enjoying Japanese appetizers with beer (izakaya style) in the West End. The restaurant’s location is perfect after a day of shopping on Robson street. If you decide to go for lunch to enjoy the sunlit patio, be sure to try their beef curry with a small salad which is only $7.80. You can also add one of their exceptional fried pork cutlets for an additional $2. Guu offers some sensationally fun cocktails, such as the Aloe Vera Vodka and Grown up’s Melon Soda Float. Don’t forget that the beer complements all of their dishes very well! 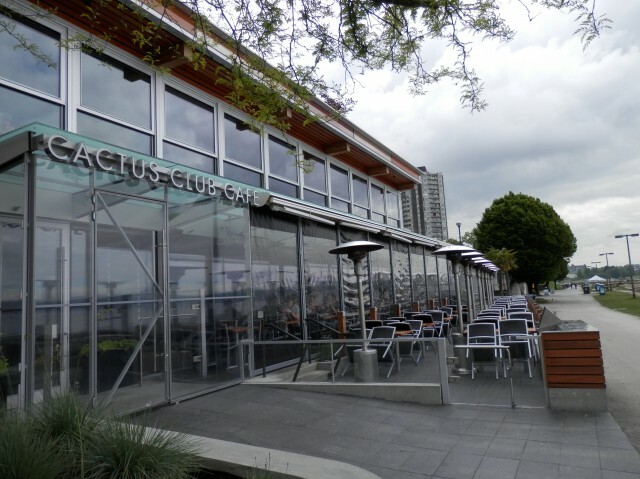 The Cactus Club Cafe on English Bay patio is the perfect choice for excellent drinks and food while enjoying the view of the beach and and English Bay. Cactus Club offers a very diverse ocean-wise menu and signature cocktails and beers. It’s the perfect location to relax after a long day at the beach. Their globally inspired menu celebrates Vancouver’s local harvests and cultural diversity. A sinfully delicious dessert menu makes the The Cactus Club patio a must for any sweet tooth. 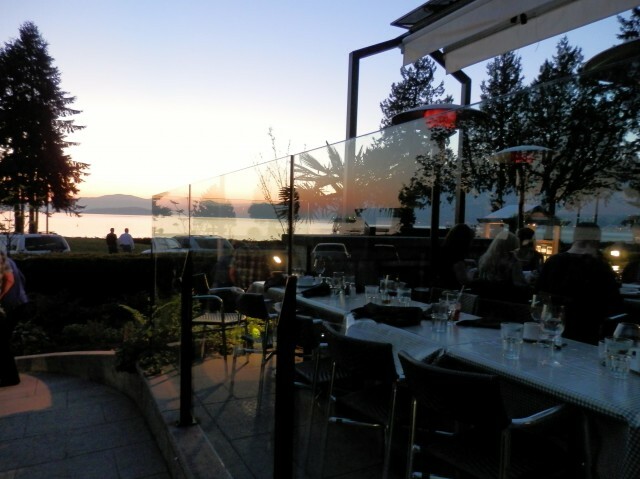 The Tea House in Stanley park offers the best patio for enjoying the phenomenal English Bay sunsets. 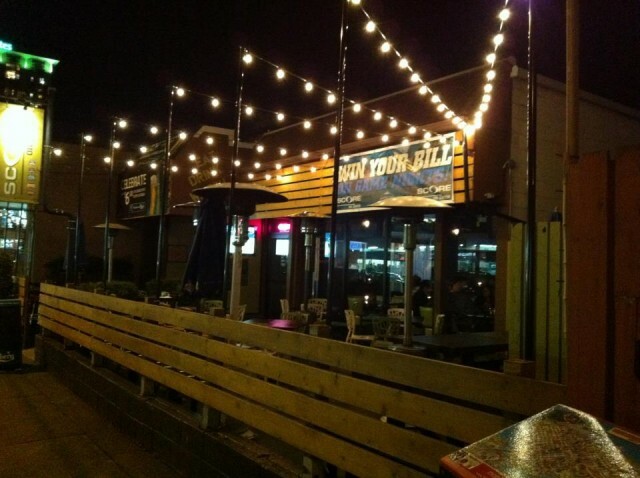 Their patios are nicely heated so when the sun sets you can comfortably sit and enjoy your meal. Aside from the amazing view and tranquil setting, The Teahouse offers a menu that keeps Vancouverites coming back again and again. A must try is The Teahouse stuffed mushrooms; they are absolutely delicious and have been one of their staples on the menu even when they changed their name to the Sequoia Grill and then back to The Teahouse. Their fresh B.C. salmon is also great and is always cooked to perfection. The Teahouse serves an excellent brunch menu, which is offered on Saturdays and Sundays from 10:30 a.m. to 3 p.m. If you don’t mind walking, it is actually very lovely to take a stroll along the seawall all the way to the steps that lead up to Ferguson Point. Try it one time and then feel good about burning off all those addictive stuffed mushrooms! The Whole Foods on Robson is the perfect patio for people watching. Their patio is set up in such a way that you can relax and enjoy your meal while discreetly observing the good looking Vancouverites that happen to walk by. Whole Foods also provides free WiFi, making it a great spot for getting some work done while savouring one of their many deliciously prepared foods. This patio is the best for enjoying freshly pressed organic juices. There’s nothing better than starting your day with a fresh juice lounging on this lovely patio while enjoying a breezy Vancouver morning. One of my personal favourites is The Triple C, which is a blend of fresh organic juices of cucumbers, carrots and celery. Stop by for some much needed cleansing juices and people watching, an underappreciated past time. Raincity Grill’s menu is a fantastic street side patio for enjoying a renowned “farm-to-table” menu, a tribute to the natural abundance that Vancouver has to offer. Be sure to try their fish-and-chips and out-of-this-world beetroot salad. Their dishes are delicious and beautifully presented, the perfect accompaniment to an amazing atmosphere. 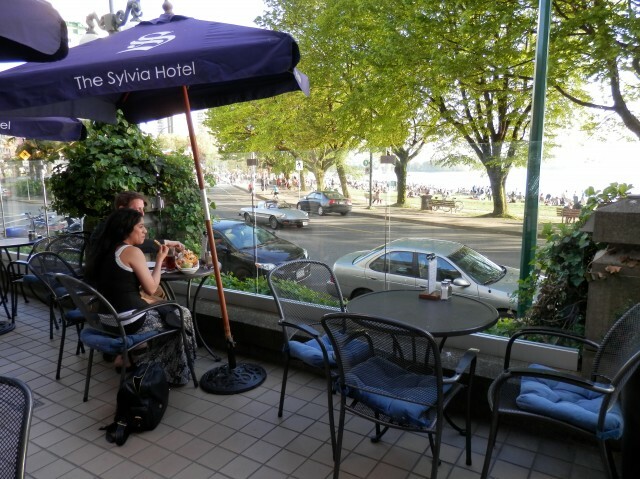 Sylvia’s Restaurant and Lounge patio provides the best scenery of the English Bay Beach. It’s located at the historic Sylvia hotel, so you’ll be enjoying delicious freshly cooked meals and appetizers on a historic landmark. It’s also a great spot for catching a glimpse of some of the gorgeous cars that drive around Vancouver. Their macaroni and cheese is amazing and if you’re an early bird, they have a killer breakfast menu. Brunch is served on Sundays 11 a.m. to 2 p.m., so be sure to try their outrageously delicious bennies and omelettes. There’s something about second level patios that you just can’t beat. 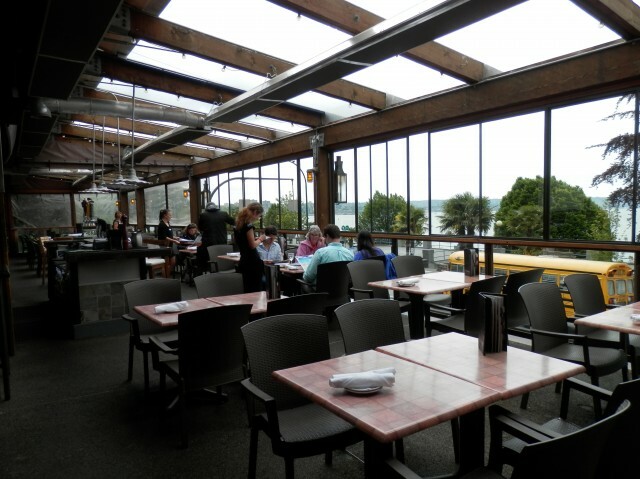 The Boathouse is heralded for its amazing food and patio space. Its location is superb for enjoying the beautiful view of English Bay while feasting on premium steaks and fresh seafood. 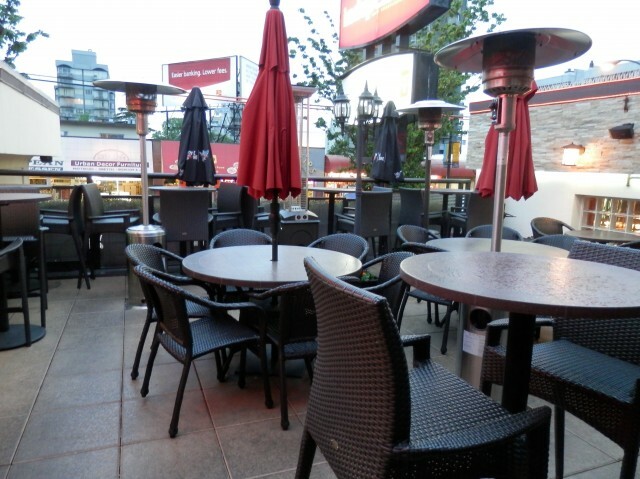 The Speakeasy patio offers the best view of Davie Street. This is especially true at night when you can enjoy the interesting pedestrians walk along the renowned street. Speakeasy offers a fantastic weekly tapas menu that changes every Friday, and an award-winning wine menu. Adesso Bistro is one of the best hidden patios. Since it’s located in the back streets of the West End, it’s easily missed if you are not paying attention. But once you see how beautiful the ambiance is and taste how delicious their dishes are, you will be sure to not keep it a secret. Adesso Bistro specializes in providing Italian cuisine inspired by the flavours of Italy’s Ligurian region. Seek out this hidden gem and then dine on any one of their delicious entrees, such as their Spaghettini con frutti di mare or Risotto funghi, and then quietly thank Vancity Buzz for this amazing article. Ain’t No Thang: Caesar topped with four chicken wings and three onion rings. Big Score: Caesar topped with a boiled egg, bacon, sausage, pierogi and onion rings. Italian: Caesar topped with pepperoni, chorizo sausage, bocconcini, pepperoncini and onion rings. Cheers! Happy summertime patio dining! Written by Tiffany Kaczmarczyk, contributor to Vancity Buzz. Connect with Tiffany on Twitter at @tiffykitty13.